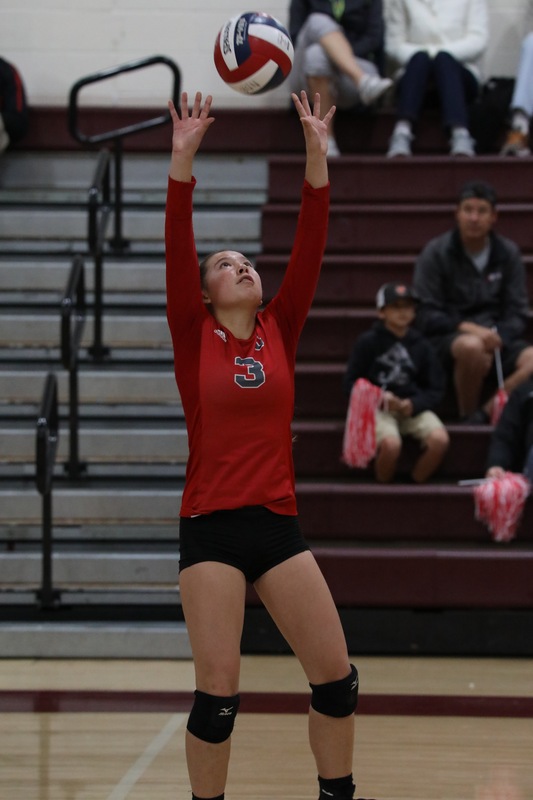 CHS sophomore Emma Crabbe is currently participating in club volleyball for the seventh year in a row, this Crabbe’s first year participating on the Rage Westside team. Crabbe played for the Central Coast Volleyball Club for six years and CHS’ varsity team for two years. Over the past three years, she’s been her club team’s MVP, in addition to having won first place in four beach volleyball tournaments. Because Rage Westside is based in Belmont, California, Crabbe must commute two hours there and back in order to get to practice, which occurs three or four times a week. On Jan. 13-14, Crabbe and the rest of the team played in the first tournament of the year, the CA Kickoff Tournament. The team went 8-0. Rage Westside, one team among the larger Rage Volleyball Club, is coached by Jen Agresti, with Israel Ricardez and Chloe Goldman as the team’s assistant coaches. Ricardez is the lead coach for both the boys’ and girls’ varsity teams at CHS. During CHS’ 2017 season, Crabbe helped the team break several records. She was integral in ensuring the team made it to game three of CCS, a feat no other Carmel team had ever accomplished. “I’m very proud of Emma’s growth as a player and a person over the last year,” Ricardez says. The CHS sophomore also had the most assists of anyone on the team at 318, according to MaxPreps. In addition, she had the most aces of the team at 27. Crabbe plays setter on both the Carmel team and her club team, and defense specialist for Carmel. She’s played volleyball since she was 4. The volleyball player cites her parents as her biggest supporters. Both David and Jung Crabbe are fervent volleyball fans as well. David coached Pacific Grove’s varsity team for 25 years, and Jung coached Carmel’s varsity team for 10 years. They supported Crabbe immensely by bringing her to practices and tournaments and cheering at her games. “Emma grew up in a high school gym from the time she was born,” David says. Rage Westside has five more tournaments, located in Salt Lake City, Denver, Las Vegas and Reno. After that, they will either move on to the National Qualifiers in Detroit or a tournament in Long Beach.